Perhaps no other artist from the second half of the 20th century is as familiar to the public as Andy Warhol-and his self-portraits can hardly be said to have played a lackluster role with regards to the artist's celebrity. U.S. postage stamp anyone? Occupying a position of central importance in his oeuvre, Warhol's self-portraits also occupy a consistent, long-running one. From the first self-images in gouache painted by 16-year-old Andrew Warhol in the mid-40s to the fright-wig series completed shortly before his death in February 1987, Andy Warhol continually used self-portraiture to reflect on his position and social status as an artist, performing a variety of roles in the process. Yet he never made use of the traditional topos of the artist’s self-portrait; his fascination with transience and death is constantly present, as in his other works. Although a seemingly endless number of books have been published on Warhol’s various work groups, this is the first monograph devoted exclusively to his self-portraits. 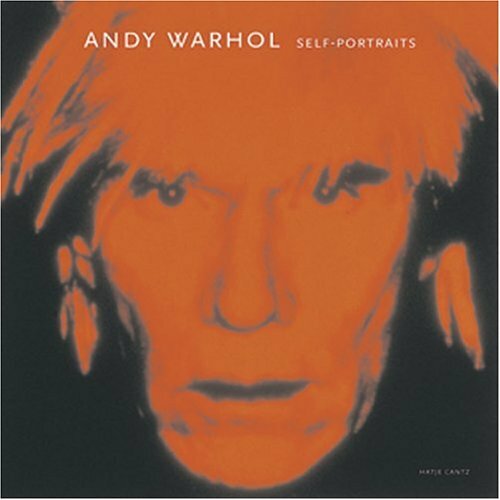 The accompanying essays discuss different aspects of the theme and examine Warhol’s self-portraits in the light of an expanded concept of the artist’s self-portrait in the 20th century.